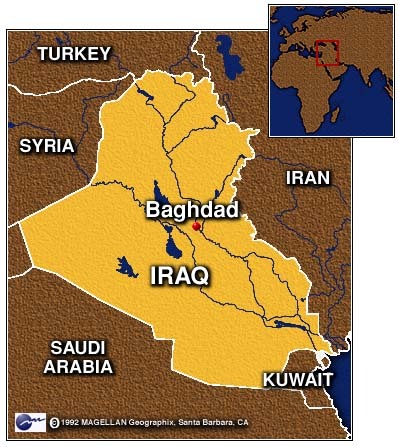 BAGHDAD, Iraq (CNN) -- Iraq dismissed as "a propaganda campaign" a claim by the United States that hundreds of Iraqi political prisoners had been executed in recent weeks. "The American announcement ... is part of an organized propaganda campaign," said a spokesman for the Culture and Information Ministry in a statement carried by the Iraqi news agency INA. U.S. State Department spokesman James Foley said in Washington on Wednesday that there were "credible reports that the Iraqi regime may have ordered the summary execution of hundreds, if not thousands, of political detainees." Foley said the United States could not confirm the reports or the executions, at least some of which are believed to have taken place at Abu Ghraib prison on the outskirts of Baghdad. But Foley said the United States takes the reports seriously and wants the Iraqis to open their prisons to United Nations investigators. One of the reports is believed to have come from the Iraqi National Congress, an umbrella organization for Iraqi opposition groups in exile. In a statement carried by the Iraqi news agency INA, the Iraqi spokesman called the charges "rubbish" and said it was an attempt to deflect the increasing international sympathy for the plight of the Iraqi people. He accused the United States and Britain of launching a propaganda campaign in cooperation with "the so-called Iraqi opposition living in London who are hosted by the British intelligence service." He said the British Foreign Office had arranged two meetings between the Iraqi opposition and British and American officials and "it seemed these meetings had resulted in this failing propaganda activity." Iraqi officials countered with charges of their own, saying the United States is violating human rights in Iraq by backing international sanctions which, Baghdad says, deprives the Iraqis of the basic right to food and medicine. 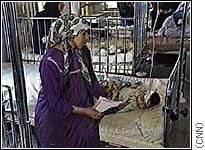 They say more than 1 million people have died as a result of the sanctions, which were imposed after Iraq invaded Kuwait in 1990. Human rights groups have repeatedly released detailed reports of human rights abuses by the Iraqi government, and Western diplomats in Baghdad say they believe the reports are reasonably accurate. Khalid al-Saadi, head of the Iraqi National Assembly's Human Rights Committee, denied the latest charges. "There is no execution or torture about which you speak," he said. "There is only implementation of the law, and the law is the law." Relations between Iraq and Washington have been especially bad since October, when the Iraqis tried to push Americans off the U.N. teams seeking weapons of mass destruction in Iraq. The Iraqis claim the American inspectors are trying to sabotage Iraq's efforts to gain certification from the U.N. and get the sanctions removed. They also are at odds over U.N. access to "presidential or sensitive sites" which Baghdad has declared off-limits, saying they are vital to its security. "(U.S. President Bill) Clinton's administration and its British ally have experimented with several propaganda practices during the current standoff between Iraq and America," said the Iraqi spokesman Thursday, "but all of them have failed." Amman Bureau Chief Ben Wedeman and Reuters contributed to this report.